Crafted from solid Acacia, a smooth natural hardwood with very few knots and renowned for its extreme hardness and resilience to weathering. 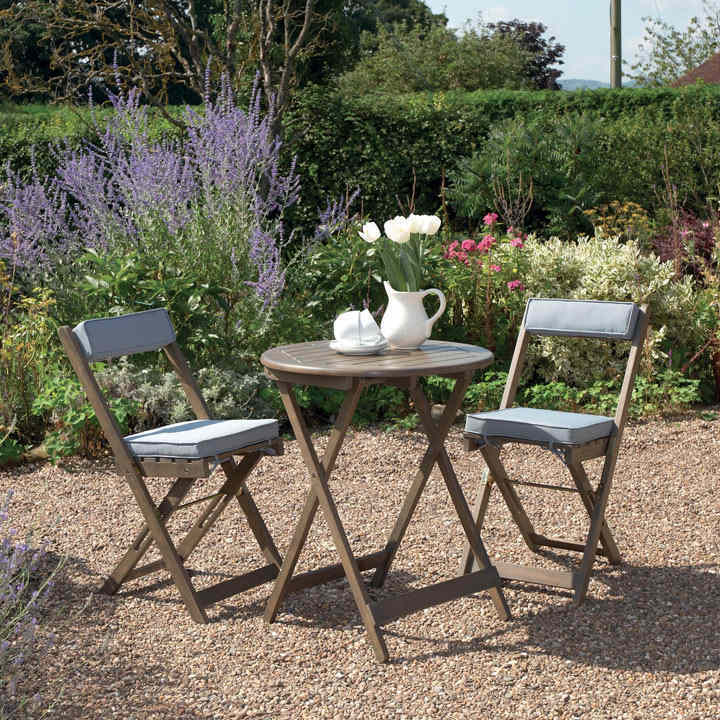 The set makes a perfect addition to any garden so you can enjoy lazy days relaxing in the garden or catching up with friends. Hand oiled, the chairs come with attractive and detachable colour coordinated padded cushions. Cushion covers are polyester, weather resistant and removable for washing. Table size: height 72 x 60cm diameter, folds flat for storage to 98 x 5.5cm. 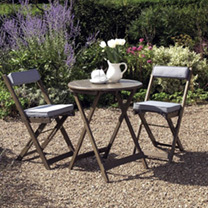 Chair size: height 78 x width 38 x depth 34cm, folds flat for storage to 91 x 5.5cm.